Ten June: Tile for Miles: A Sneak Peek! I don't even think I need to put words to this post. Maybe just music. Like angels singing. Or a choir. Or Justin Bieber. Billy the tile guy, I love you. If you follow me on Twitter (@tenjuneblog), you saw a little bit of this yesterday. It still needs grout but we are well on our way to some beautiful bathroom. Here it is- a sneak peek of our new bathroom tile. that's my pocket door water closet! yayyy uh! oh hello, hexagon tiled shower floor! All of the tile is from Home Depot. 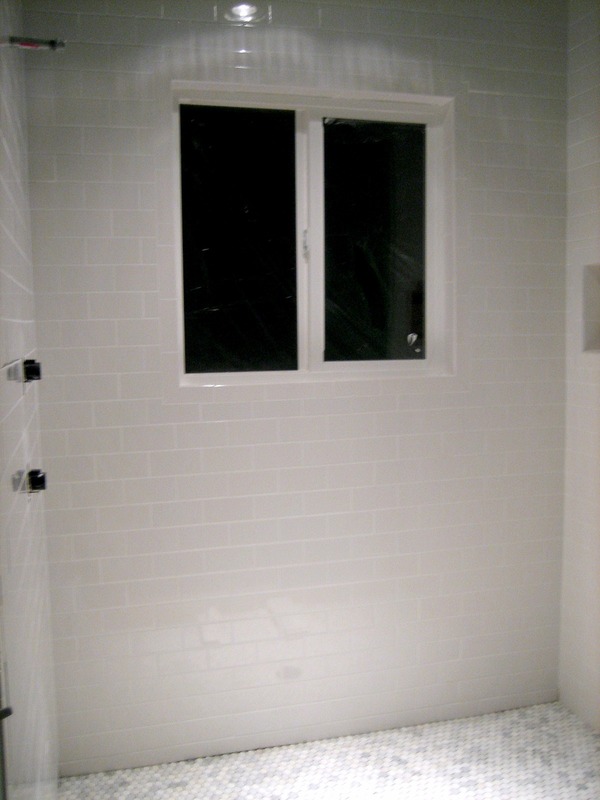 We sourced the white subway tile and the large square marble floor tile at our local HD store. The hexagon gray + white marble tile came from homedepot.com. For those of you who are new to the journey, here is where we started. It's true love, no questions asked. I can't believe this is MY bathroom. The one that's looked like a construction zone for several months! I'm definitely going to dream of the hexagon floors tonight. Can you imagine how fab they'll look with our white grout?! Love it. 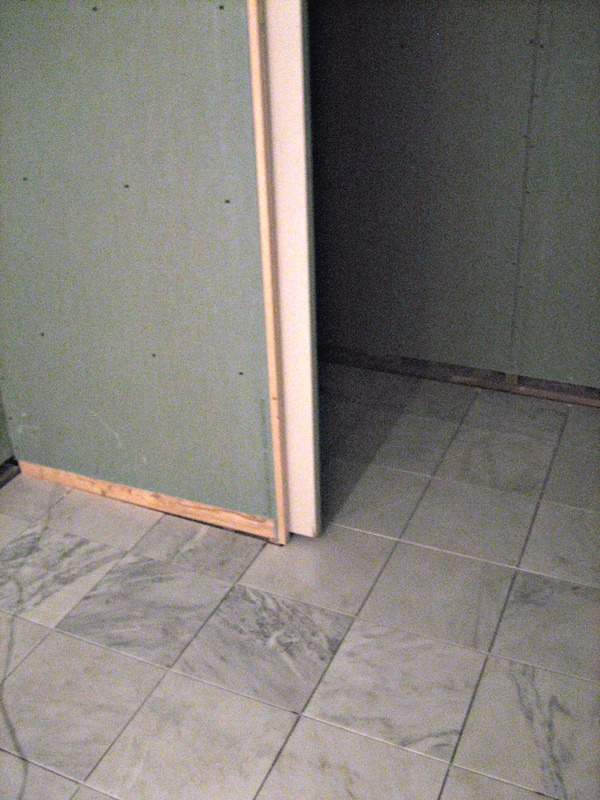 Tile should be done tomorrow! I also just wanted to stop for a second and say thanks for letting me share this bathroom reno with you. It's been so much fun going through this with such awesome support along each step of the way! I hope none of you think I'm trying to be super sneaky by sharing little pieces at a time. I promise you this- I am sharing as each thing happens in real time, step by step!! Just keeping it real folks. A renovation reality. Can't wait to share all the fun, final steps ahead! demolition, our new window and our new pocket door water closet. This weekend is National Not Allowed to Work on the Bathroom Weekend (after our drywall disaster from last weekend, it's time for a break!!). So this weekend, we'll enjoy catching up with friends, each other and just life in general. What are you up to?? Happy Friday, friends!! PS. 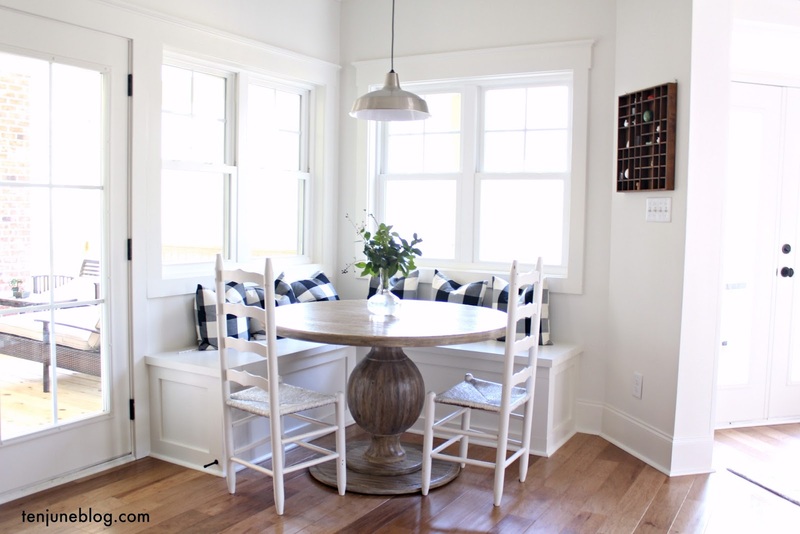 Did you see my Apartment Therapy feature yesterday?? Crazy awesome! Thanks to the AT folks for sharing! Ahhhhh! It's GORGEOUS. The hexagon tile with the subway tile. Girl, you have made major progress. No wonder you are busting out the Bieber ballad. So happy you are taking a weekend off, too. We are doing the same. No projects . . .just a date night. Woot woot. 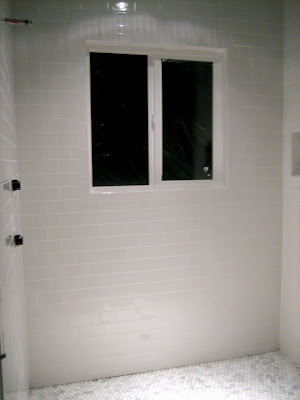 It's official.....I'm obsessed with your white subway tile too! Everything looks great, kudos to you both! I love it! We've started a bathroom reno and are also doing subway tiles in the shower and hexagonal on the floors. Though your tile and grout choices vary slightly from ours I'm getting giddy just looking at your photos! Thanks for sharing! It looks great Michelle! I love all the tile you've selected. Have a great weekend. Michelle, I've been following your blog "behind the scenese" for several months and finally decided to comment because your bathroom is GORGEOUS. It looks like it's been well worth the headaches along the way. Congrats! Just happened upon your blog and now I'm hooked. Can't wait to see how it turns out! Looks a lot like our master bath. Looks amazing! I am obsessed with white subway tile and I love the marble floor. Great choices girl! Sadly we have to do a ton of home projects this weekend since we are having my son's first birthday party next week. Oh well, no doubt we will take time for some champagne and QT! Have a wonderful relaxing weekend! ITS GORGEOUS - and it not even finished! Can't wait to see the final product!!! Wow...that is really looking awesome! Gorgeous!!! Nice to see some progress. Have a great weekend. Yay! Finally! You and D are so close! Glad you can finally see the light at the end of the tunnel! Smart choice with the water closet... it's a life saver! We added one to our house and it makes mornings so much easier. We can fling the bathroom door open as many times as necessary without awkwardly knocking and asking "Is it safe?? Oh, you're just brushing your teeth? I didn't know..." A lot of people don't think they're necessary but it makes the bathroom such a nice little retreat! Oh my gosh, I looooove the tile you picked! I am also very obsessed with subway tile and that hexagon looks amazing with it!! I can't wait to see the final product!! Agh, that tile is amazing! I REALLY like the hexagon marble, what a change!! Oh my gosh! It is looking fabulous, Michelle! Congratulations!! Hooray for Billy the tile guy!! Can't wait to see it all finished! it's like baby baby baby oh... baby baby baby oh! that tile makes me hear justin bieber, too. it's beautiful!!! and congrats on the AT feature!!! awesome and totally deserved! love love love it, SO jealous! Oh it is so gorgeous! Oh my gosh it is AMAZING. That shower tile! Those subway tiles! I'm obsessed. It's so clean and sparkly and reflects so much light! Thanks for the tip, Michelle! I'll definitely see if Young House Love did a post on refinishing/staining hardwood floors (I'm sure they have). Have a great weekend! Wow - it looks great! I DIE for that hexagon tile in your shower. My favorite! Ummm, that is amazing. Can I move in to your bathroom? That is like my dream bathroom tile scheme right there. It's so fun to see all the progress along the way. Oh my gosh Michelle, it's gorgeous!! Seriously - I'm in love with your tile. I might ask it to be my valentine if that wouldn't be stepping on your toes or anything. *love* Can't wait to see the whole room done! My husband and I are in the midst of remodeling our master bath, and your pictures look a lot like what we have planned to do! I just found your blog and now I'm so excited to see how yours turns out/steal ideas from you! Loving your choices...really obsessed with the shower floor, so perfect! Oh my goodness. This is amazing! Talk about angels singing. I can hear them. 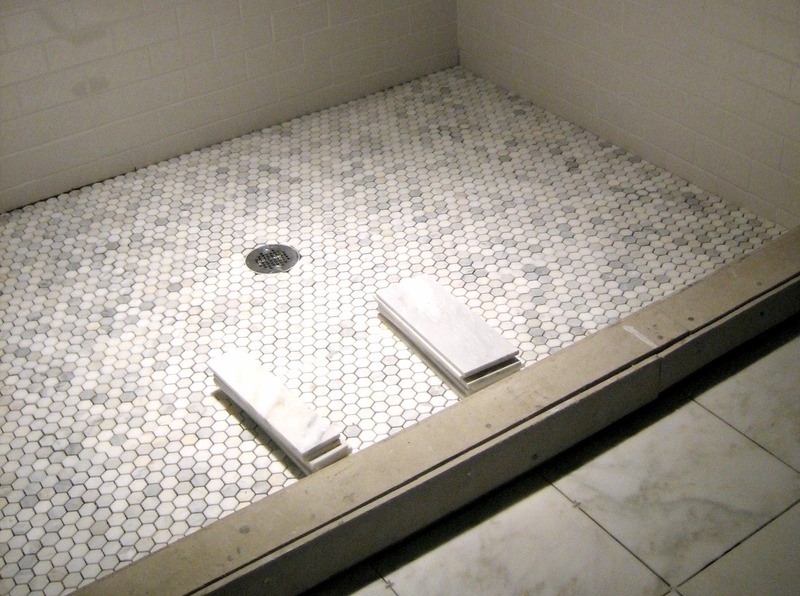 We tiled this weekend, too. What a wonderful feeling to have a floor! love your tile combinations! 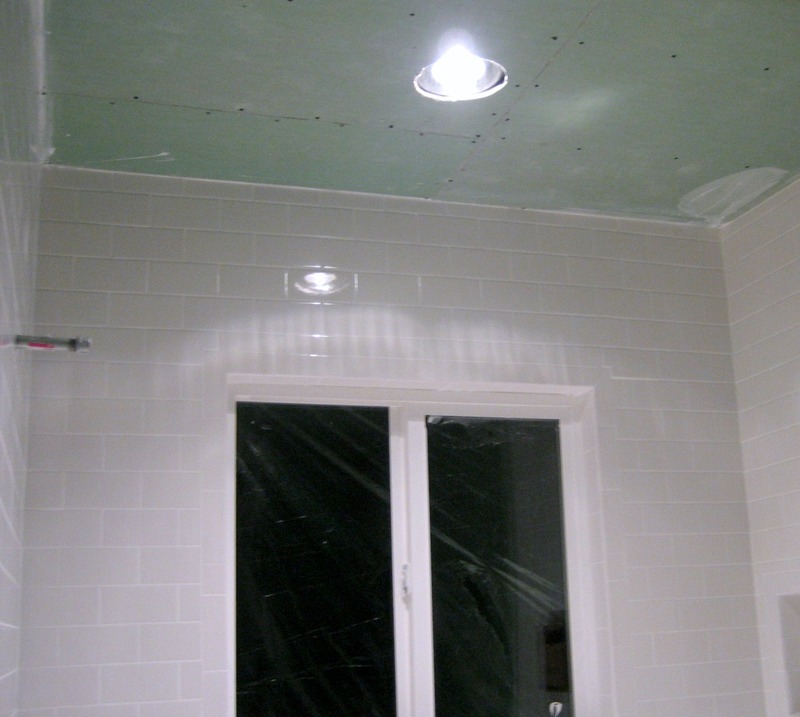 you're well on your way to a beautiful new bathroom...! Never say never! Bieber fever in this house, unfortunately. The tile is stunning...you chose beautifully, and the I LOVE the combo of subway and hexagon!! And the pocket door...swoon! Oh my goodness your bathroom looks so classic. You have made such tasteful choices. I can't wait to see it all done. I love the white subway tile and shower floor! I can't wait to see how it looks when you are all finished. I love the type of tile you used...it's what I dream about for my master bath someday! I'm so sorry if you've answered this 3,000 times, but where is that beautiful hex tile from?? It is to die for!! yes where is that hex tile from? 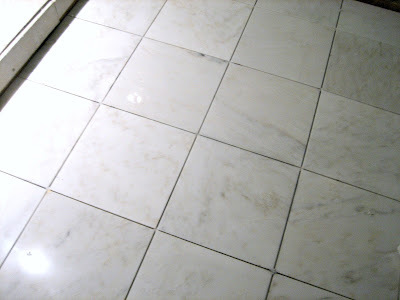 And the marble 12x12's on the floor. Did you do honed? Yes where is that hexagon tile from and the 12x12's! I am doing something similar but my marble hexagon doesn't have nearly the variation :( Looks awesome! Love the gray cabinet, smart choice!